LONDON--(Business Wire / Korea Newswire) November 20, 2017 -- Shell and bio-bean announce that together they are helping to power some of London’s buses using a biofuel made partly from waste coffee grounds. 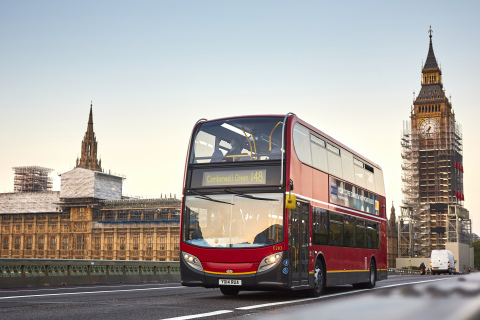 Biofuel provides a cleaner, more sustainable energy solution for buses across London’s network by decreasing emissions1. The average Londoner drinks 2.3 cups of coffee a day2 which produces over 200,000 tonnes3 of waste a year, much of which would otherwise end in landfill with the potential to emit 126million kg of CO24. bio-bean works to collect some of these waste coffee grounds from high street chains and factories. The grounds are dried and processed before coffee oil is extracted. bio-bean works with its fuel partner Argent Energy to process this oil into a blended B20 biofuel. 6,000 litres of coffee oil has been produced, which if used as a pure-blend for the bio component and mixed with mineral diesel to form a B20, could help power the equivalent of one London bus for a year5. 5 Calculation based on biofuel consumption and bus circulation numbers detailed quoted by TFL.gov.uk.